You've got the whole world in your hands. Now don't mess this up! Astroids are coming at every direction! All you have to do is protect the Earth from mass annihilation. No pressure. Just slide your finger along the bottom quarter of your screen to orbit Moony around your Earth. 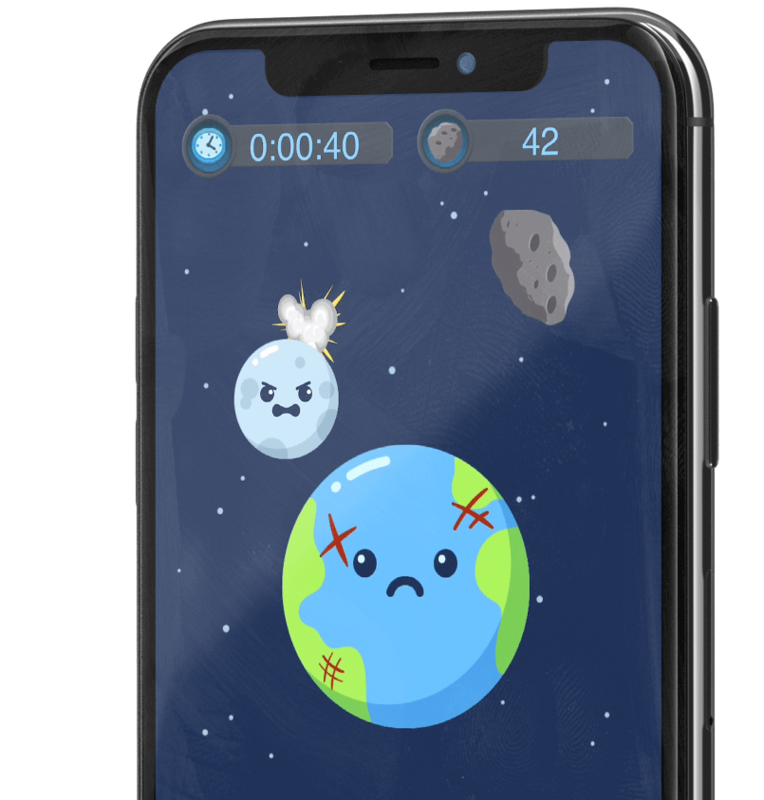 Use Moony to block asteroids and keep your Earth alive as long as possible! You can't prevent the world from complete destruction without some help! Every once in awhile, you'll be gifted with a gem that will give you about 10 seconds of a useful power up! Just make sure you allow the gem to collide with the Earth instead of destroying it with Moony! Your Earth gets temporarily teleported somewhere safe. Your Earth lets out a massive blast wave that destroys all asteroids in the area. Your Earth shrinks so tiny that asteroids fly right past it! Asteroids turn to sushi and give your Earth health when they hit it. Moony grows into a, "Big Ol' Moon", making it easier to protect your Earth. Your Earth temporarily becomes transparent and astroids pass right through it! Your Earth generates a massive force field that asteroids bounce off of! Asteroids slow down, but you move at normal speed! Two Moonys are better than one! A single heath pack will restore your Earth to full health! Get Moony for free in the AppStore! 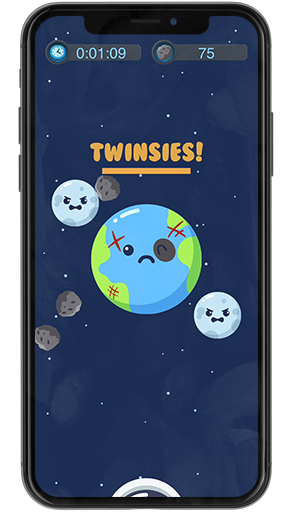 An Android version is coming soon!